Here is a clip from a local magazine called Columbus Alive! 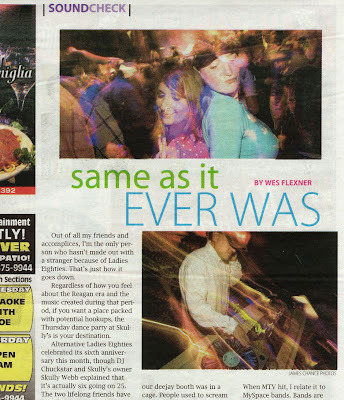 They did a story on Skully's Ladies' 80's night and it included a photo of Meshell and Jamie. Now you can see why we go.